At Acklam Whin we take pride in trying to include everyone in how we work together. 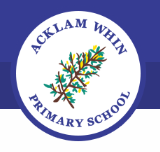 At Acklam Whin there is a commitment to high achievement and to providing all children with a quality education, appropriate to their individual needs. All children, whatever their ability, gender, ethnic origin, social background or disability, have access to a broad, balanced, relevant and differentiated curriculum. Our school sets high expectations of all of pupils in all areas of school life. We feel it is important to seek the views of our pupils and involve them in their own learning. Our school promotes positive partnerships with parents and carers, providing them with the opportunity to be involved in their child’s ongoing learning, progress and achievements in all areas of their development. Our fully inclusive school has clear policies and procedures for ensuring the identification and support of children with Special Educational Needs and Disabilities. At Acklam Whin we feel the most effective way to achieve this is by supporting all pupils and school staff through the use of an Inclusion Team approach.